Pope Francis has accepted the resignation of a Honduran bishop accused of sexual misconduct with seminarians, the latest in a series of high-ranking clergy implicated in sexual improprieties with adults under their authority. Francis had ordered an investigation into the allegations against Tegucigalpa Auxiliary Bishop Juan Jose Pineda Fasquelle last year. On Friday, the Vatican said Francis had accepted Bishop Pineda's resignation. No explanation was given. At 57, Bishop Pineda is well below the normal retirement age of 75 for bishops. He was the top deputy to Cardinal Oscar Rodriguez Maradiaga, one of Francis' main advisers, and his downfall is a blow to the Honduran archbishop. Cardinal Maradiaga had frequently left the archdiocese in Bishop Pineda's care due to his obligations as a member of Francis' cabinet, as well as poor health that has forced him to seek medical treatment overseas. 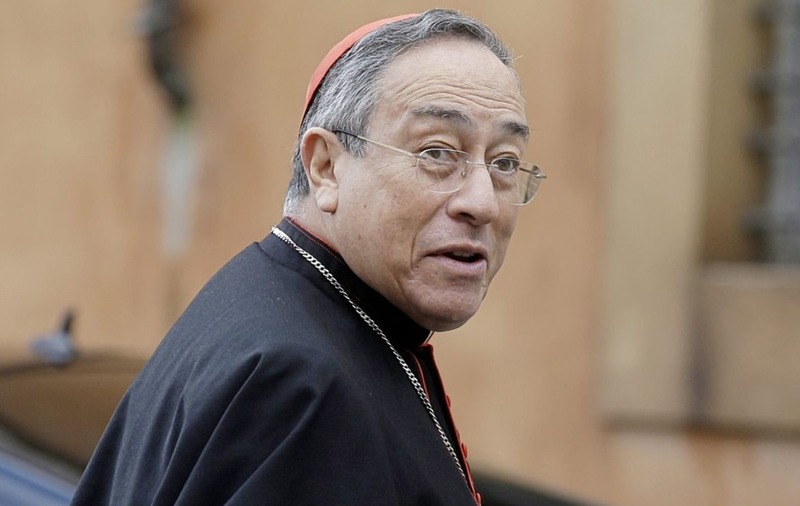 The Vatican investigation had focused on both sexual misconduct allegations against Bishop Pineda and financial mismanagement charges against Cardinal Maradiaga. Francis has stood by Cardinal Maradiaga's assertion of innocence on the financial improprieties charges. According to reports in the Italian magazine L'Espresso, Bishop Pineda was known to have had intimate relations with several men, including some favourites upon whom he bestowed gifts. Several seminarians reported his attempted advances. It is the latest in a series of cases of high-profile prelates being brought down because of inappropriate sexual relations with adults under their authority. Most recently, one of the most highly respected American cardinals, Theodore McCarrick, was removed from public ministry following revelations he sexually abused both minors and adults. The archbishop of Paris recently sanctioned a well-known French priest and psychotherapist after several male patients accused him of sexual improprieties during therapy. The Rev Tony Anatrella was considered such an expert in homosexuality and gender studies that he was an adviser to two Vatican offices. He is appealing the reprimand, which stated that he should cease all public ministry. In Chile, where all 31 active bishops offered to resign this spring over their botched handling of cases sexual abuse against children, recent revelations have uncovered networks of sexually active gay priests and the complicit bishops who protected them.